Letters From A Tapehead: The Mon: "Doppelleben"
Acting somewhat contrary to his normal work with the doom metal colossus Ufomammut, vocalist/bassist Urlo performs as The Mon, whose new album, Doppelleben, will be out November 8th. The title track is gorgeously layered and the track's accompanying video adds a hypnotic quality to this already meditative and immersive piece. Doppelleben will be released through Supernatural Cat. All info and links were provided by Rarely Unable. The Mon, the new solo project by Urlo - best known as the lead vocalist, bass and synth player in heavy trio Ufomammut - officially announces the debut album Doppelleben, due for release on Supernatural Cat on November 8th. An official video for the album’s title track has been shared. In addition, the artwork, track listing, and more are revealed for the first time. 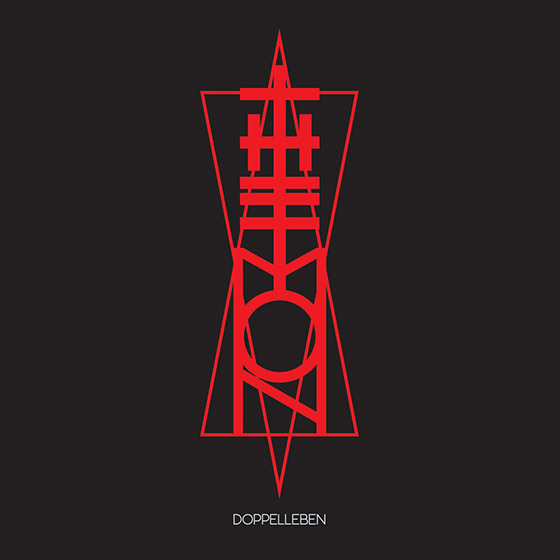 The artist remarks on the new video he created for the album’s title track, "'Doppelleben' is a German word meaning 'double life.' The entire album circles around this concept; the idea we become different people over time, we change, sometimes we evolve, sometimes we involve, but the flowing of time is what we have left when we face ourselves. 'Doppelleben' is a 'scary' song; very introspective. Its video is like an ouroboros; a journey that never ends, it starts again and again." Supernatural Cat, the label formed by members of Ufomammut and the Malleus Rock Art Collective, will release Doppelleben on CD, LP, and digital formats on November 8th, the vinyl to be printed with red metallic foil, including a twenty-page booklet with photos and more. Find physical preorders at the label’s webshop and digital via Bandcamp where the previously released singles "Relics," "Souloop," and "Her" are streaming.